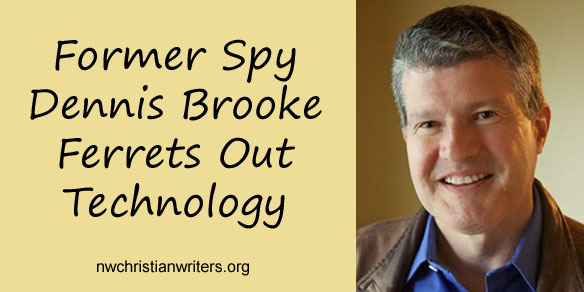 A number of years ago, Dennis Brooke served as an Air Force missile officer. For four years he pulled duty sixty feet under the Montana prairie. He also spent a day in the skies as a spy. “What was it like to be doing that job,” he asks, “when we thought the Cold War would last for decades to come or turn into a hot war any day?” It wasn’t until he stood on the Berlin Wall when it was coming down—just a few yards from Checkpoint Charlie—that he realized more fully why our military personnel serve their country. While on the NCWA board, Dennis brought our organization into the digital age through a new database program for managing our membership and website, along with a cloud-based storage system that board members and key volunteers can access for necessary documents. 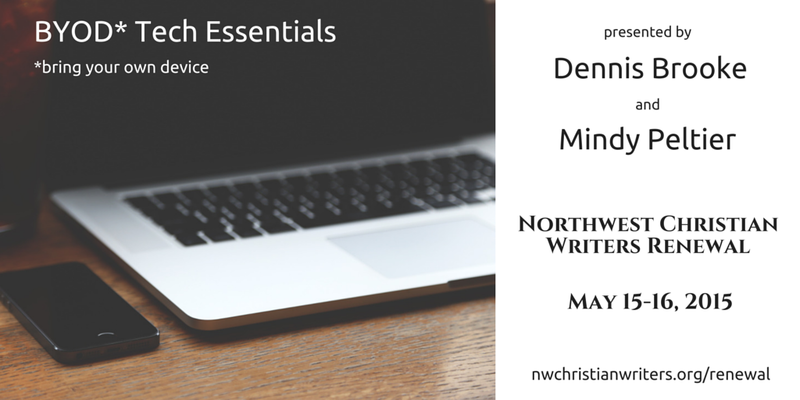 1) BYOD (Bring Your Own Device) Tech Essentials (WriteCoach Lab, Friday, May 15, with Mindy Peltier) – Ever wonder how to make those graphic “thingies” you’re supposed to include in blog posts? Stumped trying to build an email list? Wish you knew how to use hashtags, make captions, or manage friends/followers? Nervous about uploading photos to “the cloud”? Recently changed from PC to Apple—or vice versa—and feel lost? At this BYOD Tech Essentials Lab, no question is too basic for experts Mindy Peltier and Dennis Brooke. And if they don’t know the answer, they’ll demonstrate how to search the Internet for solutions. Bring your own laptop, netbook, tablet, smartphone, etc., to gain the most from these sessions. 2) “Market Like the Pros” Panel (Workshop, Friday, May 15) – Dennis Brooke will moderate a panel composed of publishing experts Carolyn McCready, Grace Fox, and James L. Rubart. You’ll learn secrets for getting your labors of love the attention they deserve. The panel will address marketing for both traditional and indie writers. Bring your questions and be ready for concrete ideas and inspiration. These days, Dennis is much more interested in the publishing contract he recently signed for his novel The Last Apostle. The book will be released January 2016. 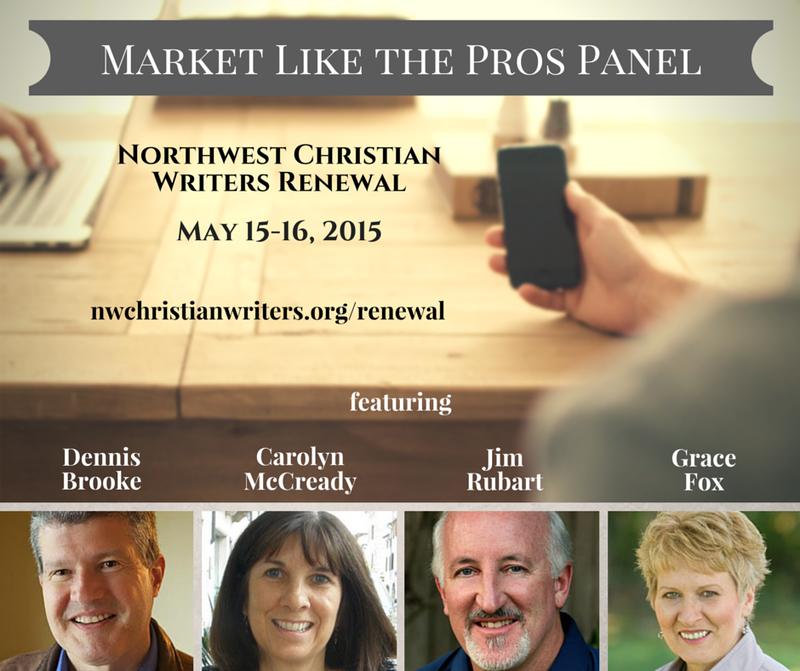 To get your questions answered concerning technology and marketing—and perhaps even spy missions—sign up today for the 2015 Northwest Christian Writers Renewal.